Kim Smith is no stranger to Scrappers in the Eastern Cape. Before moving to Durban a couple of years ago, almost all scrappers in the Port Elizabeth/Jeffreys Bay Area had attended one of her classes or bought her kits. She is a wonderfully detailed scrapper and we are absolutely thrilled to welcome her back to teach at our new Scrap Shack! She taught at our first 3 Retreats and we were devastated when she moved so far away! We can't wait for her return for this Event! My name is Kim Smith I’ve been married to the best husband in the world for 35years. I have 2 wonderful children, each married to amazing people and I have 3 gorgeous grandsons. I have been scrapping for as long as I can remember, it must be at least 16yrs. I’ve always loved paper so it was easy to get immersed into this awesome craft. I taught at a scrapbook shop in Port Elizabeth for about 7years and then from home for about 5 years. 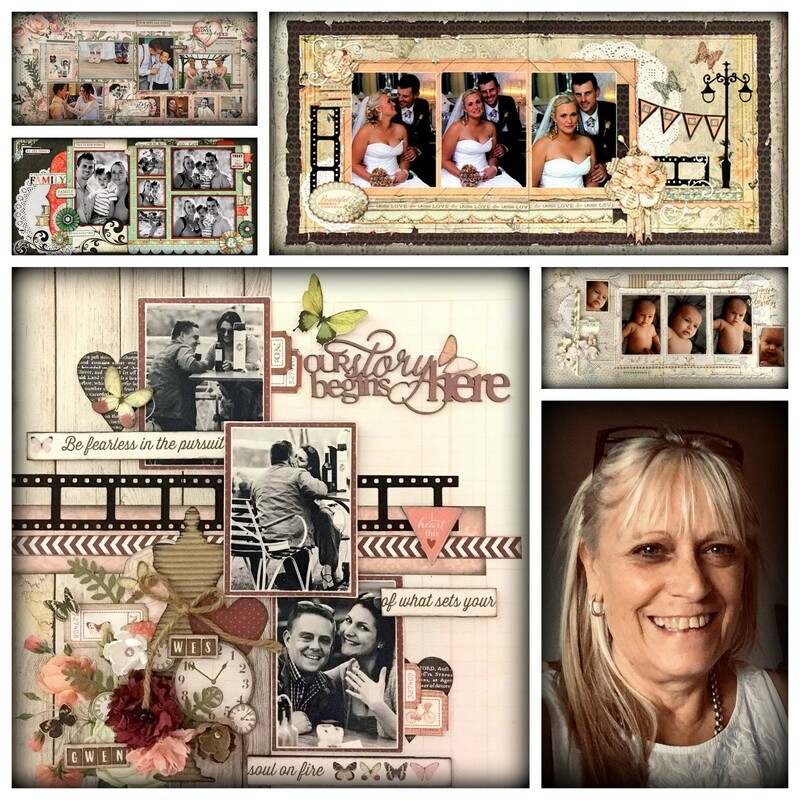 I am still designing layouts and making up Scrapbook Kits since relocating to Durban just over 3 years ago. Price includes a whole day creating with Kim as well as a bonus take home kit and a fabulous goodie bag! Refreshments and a light lunch will be served.